Talli’s two day chemo on June 7th went fairly well. It was nice to have a short one. We got such a nice break at home and we were able to spend lots of time with our family and friends. Yet we had forgotten how much those two day ones knocked her counts and we didn’t realize she was neutropenic most of the time so we kept busy and thank goodness she didn’t catch any sickness. 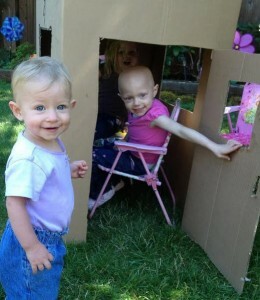 We then headed down to SF on June 25th for her 6th to last chemo! It was a five day inpatient one which we really need to mentally prepare ourselves for but unfortunately neither Jon or I did. It was a pretty difficult stay…Our sweet baby is just so over all of this…we all are! I know these last treatments are important but it is just getting harder and harder to hang on. Talli is just getting more knocked down by the chemo. A lot of the time she was tired and in quite a bit of pain from not being able to have a bowel movement. It was so hard to watch her in so much pain. But although it was a tougher stay, she still amazes me with how strong she is, even through the fits and the pain she still found time to be her goofy loving self. I just need to keep reminding myself that if God has made her so strong and so faithful at such a young age then He will get me there too, just have a little more work to do on me…and Jon?. Talli finally had her bowel movement 3 days after chemo ended…meaning she went a whole 6 days without going. Even to this day she is still having a lot of discomfort which is kind of stinking because she is supposed to be admitted this week for another 2 day one, which is the gnarly one?. She also developed a cough throughout the last couple weeks and I am praying that it is just allergies and not the beginning of a cold. She also has to have another test for her heart because the last one showed signs of her heart muscles being slightly weakened. Scares me but they seem pretty optimistic that it is not something to worry about. I always worry though, especially after this whole week having to watch Jon’s Dad suffer in the hospital and finding out he has some heart issues. Its scary stuff! So I pray her results come back as just a fluke! BUT on a positive note, we just have 5 MORE CHEMO’S LEFT and I just pray that God keeps working through my children and family and friends to pull us through.